Charred and Caesar might not be the most obvious word pairing but believe you me, it works! I’ve raved about grilled lettuce before. My Grilled Romaine with Whole30 Ranch recipe is just one example. This Charred Caesar with Scallops and Almonds is another. 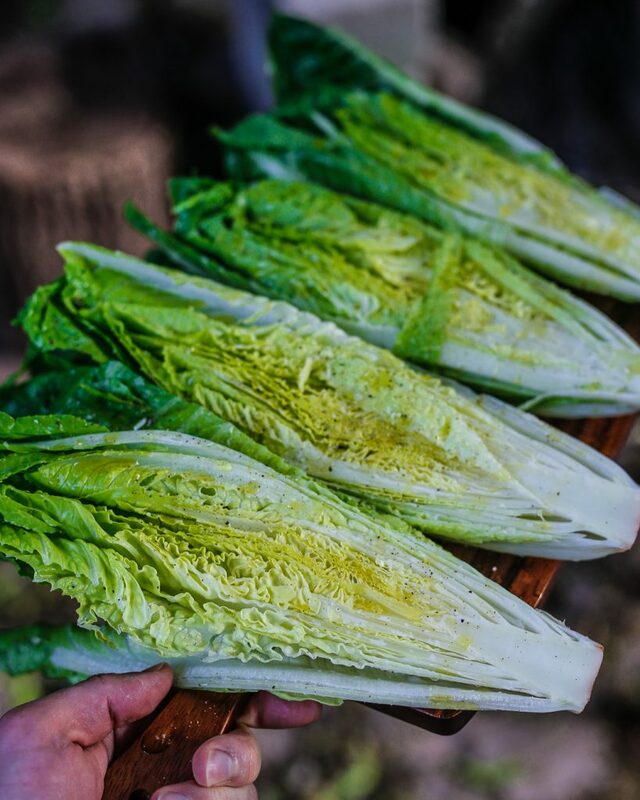 I love the way the leaves of the romaine get nice and crispy from the fire of the grill and how the entire lettuce wilts ever so slightly. I can’t remember where I first came across the idea of charring lettuce but I’m glad I tried it. 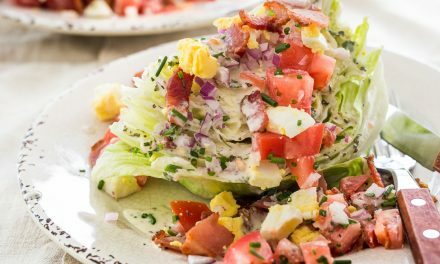 It’s become one of my favourite ways to prepare summer salads and when paired with beautiful grilled seafood or meats it makes for an excellent main course at a BBQ. It doesn’t hurt that the whole thing takes 15 minutes to prepare. The idea is really quite simple. Treat the lettuce as you would any other vegetable on the grill. Drizzle a bit of oil and season with salt and pepper. Just make sure you keep a close eye on it as the lettuce is very fragile and will burn. I usually cook it for about 45-60 seconds per side over high heat just before serving. I may do one or two flips depending on the size of the lettuce and how evenly I want it to be charred. The scallops can either be grilled, similar to the way I prepare them when I make Scallops with Salsa Verde, or you can sear them in a skillet. If you want to grill them alongside the lettuce, I recommend skewering them with steel skewers (like these) or using a grill tray (like this) so that none of the precious scallops fall through the grates. This is less of a concern with sea scallops, which are larger in size than the bay scallops pictured here. 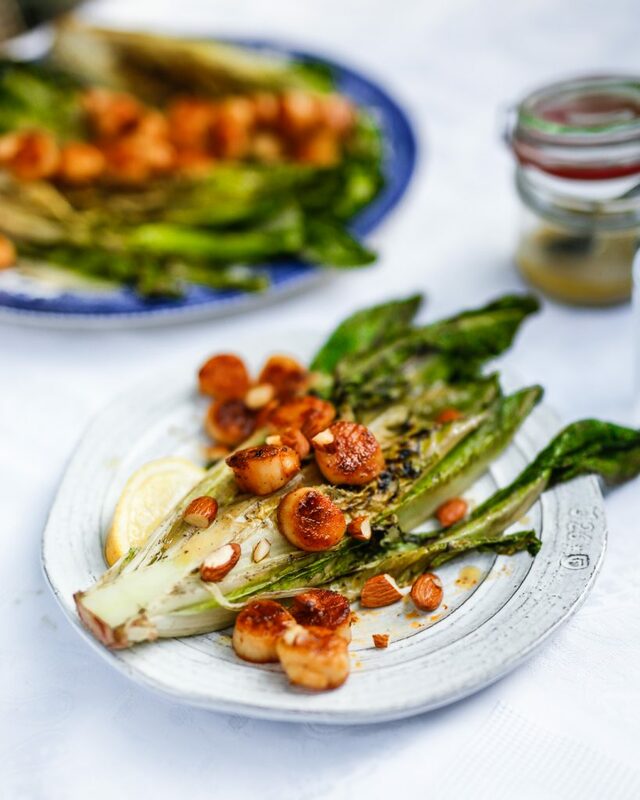 Either way, you’ll want the scallops to get nice and charred so that the flavours pair-up with those of the lettuce. 2 minutes per side should do the trick for bay scallops. Do You Really Need Cheese in a Charred Caesar? 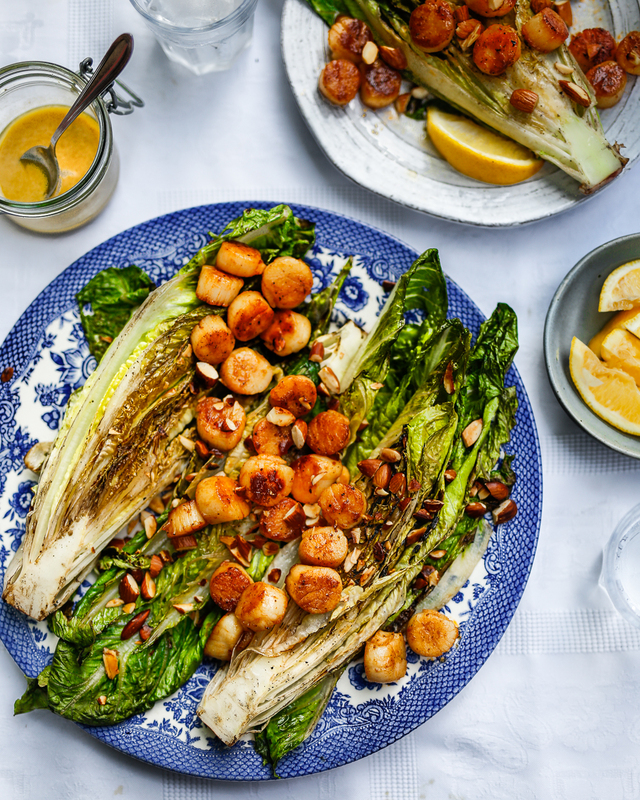 The charred romaine and scallops go really nicely with a fresh-made batch of Caesar dressing. 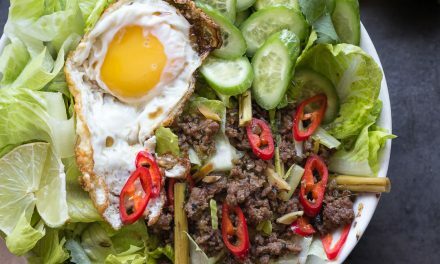 This paleo and Whole30 version omits the cheese and Worcestershire traditionally used. Sure, things get creamier with the cheese and if you want to throw in some finely grated Parmigiano-Reggiano I won’t stand in your way. But in this scenario I tend to agree with the Italian mantra that cheese and seafood are best served separately. To a large bowl, add egg yolk, mustard, garlic paste, anchovy paste, and lemon juice. Whisk until combined. While whisking vigorously, slowly drizzle in the extra virgin olive oil. Exaggerate just how slowly you drizzle in the oil. It should be a painfully-slow drizzle. I’m talking drop-by-drop. 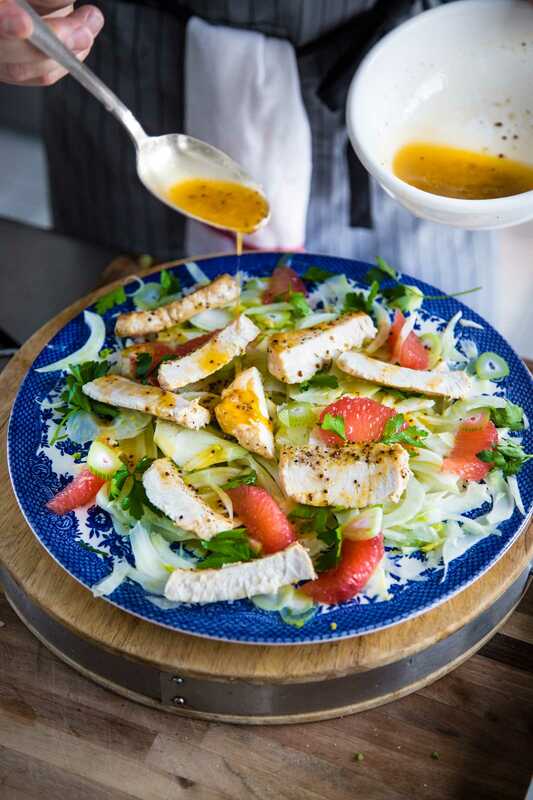 Once all the oil is whisked through and the dressing is emulsified, taste for seasoning and adjust with salt and as much freshly-cracked black pepper as you can handle. Cover dressing and refrigerate until ready to serve. 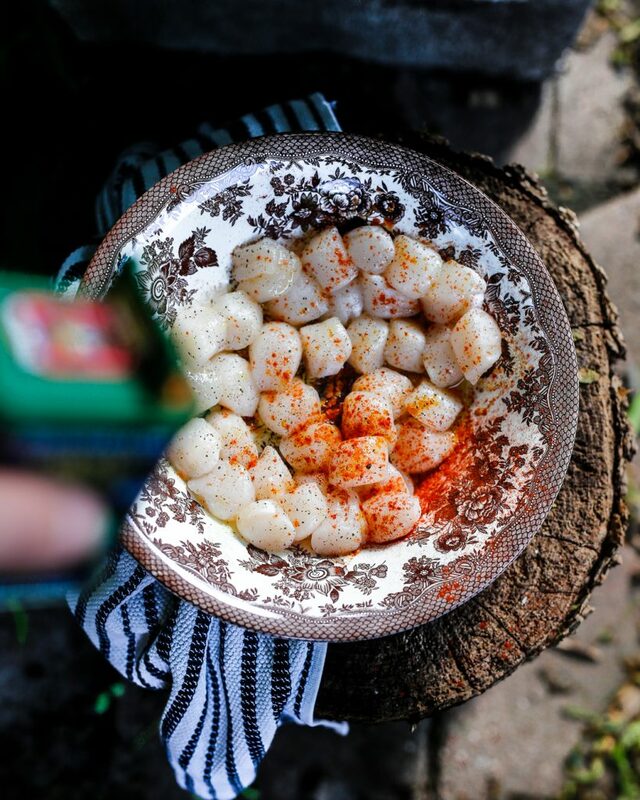 Add scallops to a bowl, drizzle with EVOO and season with salt, pepper and smoked paprika. Grill or sear in skillet for 2 minutes per side. Meanwhile, cut the romaine heads in half lengthwise (be sure to keep the stems in-tact). 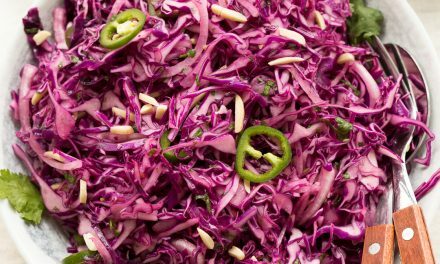 Drizzle the cut-side with EVOO and season with a pinch of salt and pepper. Grill over high heat for 45-60 seconds per side. Transfer to a serving platter and spoon seared scallops overtop. 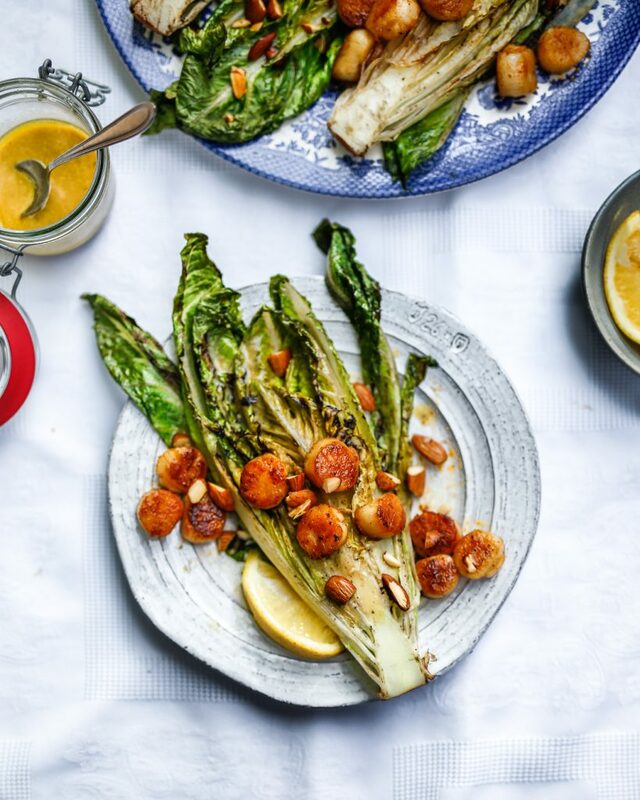 Serve the Charred Caesar with some lemon wedges!